Bournemouth has not only been named the best UK beach in the annual TripAdvisor Travellers’ Choice Awards but is 5th in Europe and 14th in the world ranking above beaches in locations world famous for their miles of golden sands and crystal clear waters, including the Seychelles, Australia, Turkey and Sicily. With its traditional seaside attractions, famous beach huts for hire, watersports and stunning views of the Isle of Wight and the Purbecks, Bournemouth’s seven-mile stretch of sandy beach offers something for everyone. The bay also boasts its own micro-climate, giving it some of the warmest sea temperatures in the UK. According to Chris Saunders, head of operations in tourism services, this accolade is the result of many factors coming together, not least the commitment of the indefatigable Seafront Team. And the beach appeal isn’t restricted to the summer months. Bournemouth welcomes over 6 million visitors every year on top of which it is renowned for events and festivals which use and showcase the town’s extraordinary beaches to their maximum potential. Portfolio holder for tourism, leisure and arts in Bournemouth, Cllr Pat Oakley, said, “We’re delighted and honoured to top the TripAdvisor list! We’re especially thrilled with our international ranking. As the UK’s Best Seaside Town, we’re immensely proud to offer world class beaches on British shores without the need to travel abroad. We have four Blue Flags and two Seaside Awards which reflect our commitment to maintaining high standards across our beaches. “I’d also like to thank Bournemouth’s residents for their part in the protection and promotion of our award-winning seafront. The beaches are a precious and special part of the area’s natural environment and constant vigilance is required to ensure their protection. 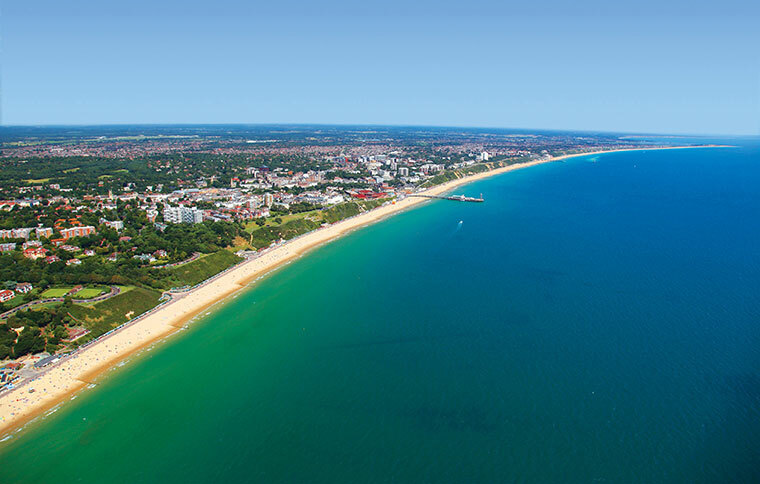 Combined, Bournemouth and nearby Poole offers 10 miles of soft golden sand and the two resorts have come together this year to form a destination powerhouse. Featuring eight Blue Flag beaches, Europe’s largest natural harbour and known as the ‘coast with the most’, this stretch of the South Coast attracts outdoorsy adventurers and thrill seekers looking to surf, sail and cycle.